The Docklands Head is back for 2018! 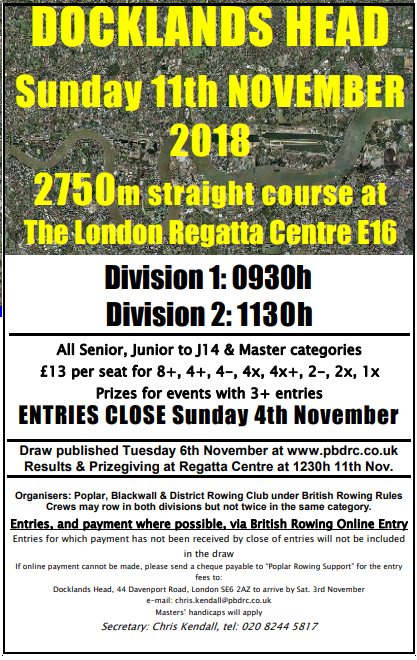 It’s been a busy weekend of racing for the club, with a really positive Sculling Championship on Sunday following Saturday’s successes at the Pairs Head. A really soggy but enjoyable day for our three Poplar crews out on the tideway!